Sought after by many photography-inclined tourists and flower enthusiasts in general, it is good to know what you are getting into before planting your own plumeria trees. While beautiful with a lovely mild fragrance, plumeria trees are messy. Underneath them at any given time is an array of dead leaves and browning flowers. Ah, but the flowers are lovely. Most commonly white with a hint of yellow, their fragrance is mild and not overwhelming to the senses. Unfortunately, they are a magnet for flower poachers. Be prepared to find people snagging them by the bagful for their own purposes. Be sure to use caution as the plant is mildly toxic and can cause irritation when ingested or when the sap comes in contact with sensitive skin. If you decide that a plumeria tree is definitely what your yard needs, there are many varieties available. They come in dwarf sizes as well as the full-sized beasts pictured to the left. A variety of interesting colors are also available: orange, pink, purple, and more. 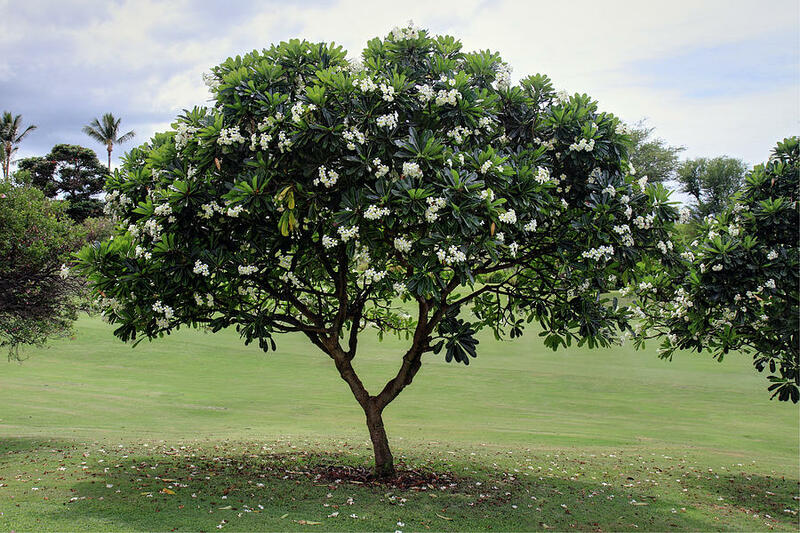 Contact us today if you'd like to consider adding a Plumeria tree to your landscape design. Apartment living or lack of outdoor space is no reason to miss out on having a garden. Consider an AeroGarden! An AeroGarden is a complete herb garden that sits right on your kitchen counter. Don't worry about getting potting soil all over your cooking food prep surfaces; the AeroGarden is a hydroponic unit with the plants' roots resting right in the water. No sunlight? No problem. These units come with a special grow light that helps the herbs absolutely thrive. While great for your plants, be warned, the light is quite bright. If your kitchen (or wherever the unit is placed) is adjacent to a bedroom, you may need to fashion something to block out the light. A minor inconvenience for fresh herbs. Most units will turn the light on and off automatically, depending on the needs of your plants. You can also adjust the light timer. The daunting question of when to feed your plants is simplified as well. Many models come with an automated screen that tells you days ahead of time when your garden will need to be fed. This is a great feature because if you are out of plant food, you can hop right onto Amazon and have their patented plant nutrients delivered right to your doorstep. You can also re-order the herbs or just the inserts for replanting. This is not an affiliate post. We actually have one of these in our own home that we purchased as a novelty item. While we were not completely sold on the unit at first, we now have more herbs than we know what to do with. Three months of growth yielded three harvests from the best growers and two from the slowest-growing herbs. Experiment with your favorite herb combinations, and get the kids involved, too! You can find them HERE and at select retailers. Have you considered adding a fire pit to your landscape design? Including a seating area in your yard is a great way to break up the monotony of just grass, or just rocks. Throw in a fire pit to your seating area and you have the perfect way to bring people together in your outdoor space. People have been gathering around fires since the caveman days, and humans still very much feel that primal pull towards the warmth and community that fires can bring. Plus, can you say s'mores? If you have ever eaten curry, you are most likely familiar with turmeric. It is a key ingredient for the base of many different kinds of curry. Turmeric has long been treasured not only for it's unique flavor, but for it's health benefits as well. Ayurvedic medicine has used turmeric for a very long time, with entire medical books written about it's many health benefits. It can help lower blood pressure, ease arthritis, fend off Alzheimer's disease, and reduce inflammation. It can be infused as a tea, grated and added to recipes, or heated up with coconut oil to increase it's healing benefits. Some people even take turmeric in a capsule directly by mouth. Growing your own Turmeric can be tricky and takes some patience, but the results are beautiful flowers and a very useful root. Turmeric can be found at your local farmer's market, too. People across the world are choosing to turn their outdoor living spaces into productive gardens to feed themselves and their families. Let's grow some groceries! Raised garden beds are a popular choice for those wanting a designated growing space for their produce. Styles can range from very simple to more extravagant, multi-tiered structures. Edible garden options go beyond fruit trees. Herbs are a great option to add a touch of fragrance and purpose to small spaces. Creeping herbs such as mint and thyme can also be used to fill in areas between plants. Add in some flowers for a pop of color and you have a winning combination. Creativity and beauty do not have to be sacrificed when choosing an edible landscaping option. This landscaping choice may need more care from you than a strictly ornamental design would. If you tend to your edible garden often, you will be able to actually enjoy the fruits (and vegetables!) of your labor. Contact us today to inquire about adding some edibles to your current landscape design, or to help you design a completely new landscape for your home. So you want a beautiful landscape design but your home is burdened with a plethora of shade? Shade is wonderful to escape the heat of the sun, but not necessarily ideal for growing many types of plants that crave direct sun. ...with a garden path and edgers to separate out different growing beds. This helps break up the space so that less feels like more in your design. Stepping stones in gravel or cinder are great options for those shady spots and contribute to a thoughtful and attractive area. Have you ever considered a pond? Or perhaps a fountain? Maybe an interesting statue or work of art that you take a liking to? Your outdoor space doesn't have to be 100% plants. Even though some varieties of grass are more shade tolerant than others, all types of grass need some sun to survive. Depending on how shady your yard is, grass may not be in the cards for your design — or perfect for some areas and not ideal for others. Aggregate (gravel, rock, cinder) and shade-tolerant groundcovers can be an excellent solution if you still want to fill the space with low-lying greenery. Tried and true design techniques, paired with your professional landscaper's knowledge of plants that will thrive in your specific setting, will have your space transformed in no time. Contact us today for a consultation on selecting the best types of landscaping to create the outdoor living space of your dreams. Water conservation is a big topic. There is always a drought somewhere on our fragile planet. 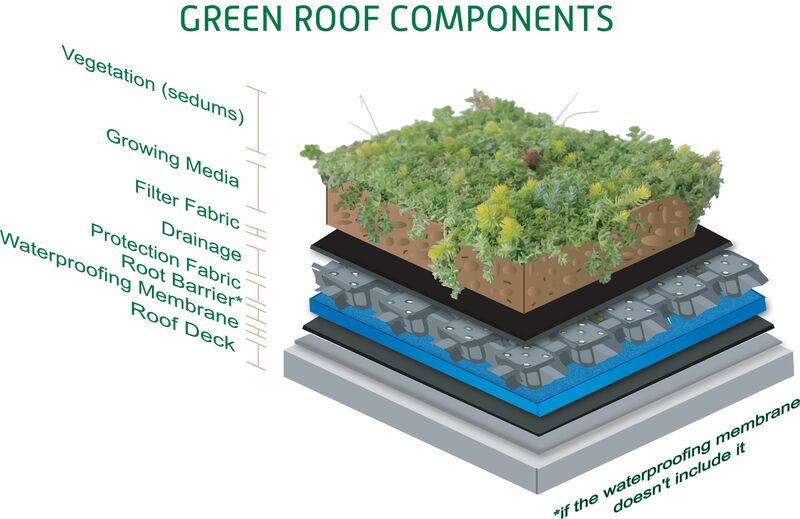 Did you know that landscape irrigation can takes up 30-50% of household water usage? A drip irrigation system can be a great way to not only cut down on water waste, but also on your household water costs. It will pay for itself in no time! The benefits of drip irrigation don't just stop at your wallet. Your plants will benefit as well, especially if you have plants mixed together with different watering needs. Your landscape professional can help set up your drip irrigation system with emitters to provide each plant their specific watering needs. This ensures that the plants that need a little extra water don't go thirsty, while other plants aren't drowned. These systems aren't always a "one and done" project. Your system may need to be adjusted to compensate for plant growth. It may also need to be flushed once in awhile. It all depends on the contents of your local water supply. Drip systems can be added to any existing irrigation system. They can even be added to your exterior potted plants as a great hand-watering time saver! ​Contact us to explore the best options for your home, or request a quote today. Grow Some Good is a non-profit 501 (c)(3) organization here on Maui that is dedicated to teaching future generations about sustainability, the environment, and nutrition. Children grow produce in their school gardens, participate in fun outdoor activities, and team up with local chefs to create yummy snacks with the produce they’ve cultivated. Children often go home and want to eat fresh vegetables and cook meals with their families. Kids are also motivated to have their own gardens at home. How cool is that?! The program currently involves 12 schools and 3,000 kids participating in outdoor learning every month and is always reaching to involve more and more of the community. Want to get involved? Grow Some Good is always looking for garden volunteers, and volunteers for Work and Learn Days, usually held once a month. Aside from volunteering, monetary donations and equipment/supply donations are welcome.